Getting Higher Returns on Your Cash - Can I Retire Yet? “Put your money to work,” my grandmother would advise. Getting the highest possible return on your cash seems to be a mark of honor among frugal prospective retirees. But, with interest rates in the tank for most of a decade, if you haven’t bothered, you also haven’t been hurt much. Now, rates are rising. So, it might be more important to maximize the return on your cash. Is it worth the effort? The usual reaction is of course you want the highest interest rate available! But that doesn’t necessarily factor in the cost of your time, and any risk involved…. With my 2-year cash stockpile running low, rates going higher, and the market headed toward a correction, in recent months I sold a large position from our investment portfolio. That left me with a 6-digit sum of cash on hand. What to do with it? Given the possibility for a rockier economy ahead, we’ve been watching our income and expenses. By being proactive about our cash flow now, perhaps we can avoid more painful cuts down the road. As part of that process, I re-evaluated how we’re managing our short-term cash holdings. I looked at a number of the available options — standard savings accounts, online savings, CDs, and bond funds — and made some modest changes to our accounts. In the process I traded off a number of important factors including yield, interest rate risk, default risk, and time commitment. I’ll explain my evaluation process, and my decisions, below. Then, I’d be interested to hear what you do with your cash. How far afield are you willing to go for a better return? By “standard” savings I’m referring to a conventional savings account at one of the major, brick-and-mortar banks. At the time I write this, interest rates at such accounts are in the neighborhood of 0.5%. That’s better than they’ve been in a long time, but still a paltry return that doesn’t even begin to keep up with inflation (currently running around 2%). There is no interest rate risk with a savings account, because the value of your principle will not fluctuate with interest rates. There is no time commitment for your funds either, though you will likely be limited to six transactions in your account per month. And there is no default risk, to a point, because you are insured by the FDIC for up to $250,000 per depositor, per FDIC-insured bank, per ownership category. In my case, $250K is way more than needed to cover the couple of years of living expenses I tend to keep on hand. But, if you need more than that in cash, you’d be advised to spread it around to different institutions so as not to go over the insurance limit. Finally, there is minimal hassle or time investment, for me, in maintaining a standard savings account. I already have decades-old relationships at two traditional banks — Schwab and USAA — that have proven trustworthy over the years. Since at least the first FinCon (annual financial bloggers’ conference) I attended in 2012, when Ally Bank was introducing its online products, I’ve been aware of the pure online banks offering high-yield, FDIC-insured savings accounts. Recently I researched my options in that space, again. On the surface, what’s not to like about higher yields and the safety of FDIC coverage? But, as I dug deeper, I found some worrisome issues…. I began my research at Bankrate.com which, among other services, ranks the best mortgages, CDs, savings accounts, and credit cards in easy-to-read online tables, like the one at the bottom of this post. Do be aware of their disclosure: “The listings … are from companies from which this website receives compensation, which may impact how, where and in what order products appear.” And they may not include all companies or all available products. Nevertheless, I found a wide variety of offerings. I zeroed in on a couple of the banks at the top of Bankrate’s list for online savings accounts, offering rates of more than 2%. Wow, that sounded good. It was nearly four times the rate I could get on my best standard savings account. But as I researched further, I started to see problems. One of those banks had a history of rolling out new product brands, while reducing the rates on their old brands. It was classic bait and switch, played out over a longer time interval. So, you do all the work to set up an account and move your savings over, then, sometime in the following years, the bank quietly reduces your rate. How long before you even notice? And how long does it take you to research your options and make another move, if you ever do? Another bank was tiny. Their Android banking app had only a few thousand downloads. I didn’t fancy being a software tester with all my liquid savings. I kept scanning down the list, willing to accept a slightly lower yield to deal with a larger institution whose name I could trust. Finally my eye settled on Ally Bank. I’d always had a good impression of them from the exposure within the FinCon community. And I know plenty of my fellow bloggers use Ally. But as I continued my research around the web, my misgivings grew. Ally’s user reviews on Credit Karma were disturbing. Apparently they, and other banks, have outsourced their customer service overseas in recent years. The result seems like far too many stories (for my comfort level) of serious banking errors, with customers being denied access to their money for lengthy periods of time. I absolutely cannot afford poor customer service when it comes to my pool of liquid assets. That’s the money I’m relying on for daily living expenses in the immediate future, and for any emergency spending. If I can’t get to it quickly, the inconvenience would be huge, and could be financially devastating. I might have to sell other assets at a loss. When, a couple of years ago, I had $40K stolen out of my savings account at USAA, I was able to get right-through to senior, U.S.-based bank personnel and get the problem fixed within a few days. They were highly responsive throughout the entire process. There was never the slightest question about whether my account would be made whole. That’s the kind of service I expect when large sums are on deposit. CDs aren’t perfectly liquid assets. You generally have to pay a penalty to withdraw your money before the term. Yes, sometimes that penalty is relatively small and can make sense when viewed as an “insurance premium” (see more below). But, at a minimum it’s a hurdle to getting your money, and in some scenarios it could be expensive. There is an inherent conflict in my view between needing liquid assets, and being required to lock them up for a period of time to achieve higher rates. That requires a degree of certainty that I’ve rarely experienced in my life. I know there are scenarios, such as selling a house and wanting to earn higher rates on that cash for a few months while you relocate, or setting aside an inheritance for a large education expense a few years off, that call for CDs. It’s just that I’ve never experienced those scenarios. Through early adulthood, marriage, child raising, empty nest, and early retirement, my situation has been more not knowing what the future would bring, and wanting a flexible pot of money available so I could handle anything that comes. My longer-term money, a few years out, has always been in stocks and bonds, and I’ve developed a comfort level with those markets. So I just haven’t seen the “sweet spot” for CDs, personally. Finally, keeping money in CDs means more accounts and rules to keep track of. Since it would be impractical to keep all of your cash in a CD, it splits up your liquid assets into multiple pots. For many people, especially younger folks or those who enjoy optimizing every cent of their finances, this is no big deal. But for me, relatively late in the game, I’m trying to simplify my finances in every way possible, so they require less mental bandwidth for me — or my wife if I’m not here — to manage. Adding new accounts to manage our money takes us in the wrong direction. Just to be sure, I researched buying traditional CDs through Schwab’s CD OneSource service. That’s potentially appealing, because I already have an account at Schwab and buying a CD is almost as straightforward as buying a mutual fund. But there is at least one catch: According to Schwab’s FAQs, if you need your funds before the CD matures, you aren’t dealing with a conventional withdrawal penalty stated up front. Rather, they will help you sell the CD at the current market rate by requesting bids and contacting you with the highest one. In other words, you’re stuck with auctioning off your CD in a potential fire sale. To me, that’s unacceptable for money intended to be an emergency cash reserve. Are bond funds a viable alternative for managing your ready cash? As I write this, the yield on Vanguard’s ultra-safe Short-Term Treasury bond fund (VFISX) is 2.66% and the yield on their Intermediate Treasury-Term bond fund (VFITX) is 2.89%. Those are appealing rates, somewhat above the available online savings accounts and more competitive with CDs. Second, you are exposed to bond market volatility and interest-rate risk. “Duration” is the traditional measure of a bond fund’s sensitivity to interest rate movements. If a fund has a duration of 2 years, then its price would fall about 2% for every 1% that interest rates rise. The duration of VFISX as I write this is 2.3 years. For VFITX it’s 5.3 years. Thus, even with these ultra-safe bond funds, you will see a hit to principal if interest rates rise, as they are currently doing. You must consider the total return of a bond fund, including any gain or loss of principal. Even though those risks are relatively small with intermediate, and especially short-term, bonds, they are present. It may be too much risk for money you need to tap in the next year or two. It is for me. If you’re evaluating bond funds, you should know that at certain points in the economic cycle, CDs are demonstrably better. They can offer similar yields and lower risk, even taking into account early withdrawal penalties. Allan Roth was one of the first to write about using CDs instead of bonds: “…rising rates can clobber bonds and bond funds, whereas CDs with small early withdrawal penalties offer intermediate-term yields with an insurance policy to escape if interest rates go up.” He further points out that banks are slow to match bond interest rate changes. That means when rates are declining, CD yields can be more attractive for a while relative to bonds. But when rates are increasing, it’s the opposite: Bank CD rates may lag bond rates. This is closer to the environment we find ourselves in now. Last year, Mike Piper at Oblivious Investor wrote that he would consider replacing some bond funds for CDs. At times that could increase yield and decrease risk. But he notes the ongoing work involved: shopping for CD rates, and managing accounts across multiple providers. He concludes it’s a question of how much he’s willing to pay for the simplicity of an all-one-fund, in his case, versus breaking his investments apart into multiple, optimal holdings. And he came up with a cost of $690/annually for every $100K not invested in CDs. Given all of these options, what did I do with my pile of cash? It’s not a slam-dunk that I would go for the highest-yielding solution. There are other factors. First the risk. Not just volatility, as with a bond fund, but the real risk of banking snafus or fraud preventing access to my cash. Then there is the value of my time. A few years ago I wrote a post on the value of financial simplicity. I listed all the ways I’ve given up small amounts of money over the years to buy financial simplicity in my life. I noted that once you have enough money to make certain complex financial strategies worthwhile, you also might have better things to do with your time. For example, I have little interest in complicated tax schemes, including Roth conversions. Recently I found a clever online tool for assigning an actual dollar value to your time. If you don’t have a handle on that number for yourself, take a few minutes to run through the analysis. You’ll get an invaluable data point for making financial and other decisions in your life…. 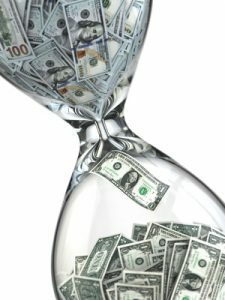 It turns out that I value my time at about $300/hour, even in retirement, when I’ve long since given up a profession that might bill at such rates. Do I make that kind of money for the time I put in on this blog? Hardly. But writing a blog is work that I love, with long-term non-financial rewards. That $300/hour number is for work that I would be ambivalent about: such as researching bank rates, filling out new account paperwork, and sifting through communications from yet another financial institution. It reflects that, on the verge of my 60’s, I’m running short on time now, not money. Also, when making financial decisions, it’s important to look at the absolute dollar amounts involved, not just percentages. Don’t be persuaded by apparently large differences in rates, unless the bottom line amounts would make a difference to you. In my case, by investing more time and taking on more risk, I might be able to improve the return on my cash by about 1.5%/year. So, on $100K, I could get an extra $1,500 annually. That’s about 5 hours of my time. Is it worth it? It might not cost me an extra 5 hours every year to manage another account. But it would likely cost me several hours — if everything went smoothly. And I’m willing to charge off the rest to keeping our financial life simpler. So it’s a wash for me. For now, I’ve decided not to make any major changes to how I manage my cash. I did move some money around so I get a higher rate on my Performance First Savings at USAA. That rate just increased slightly to pay 0.55% for daily balances between $50-100K. I also opened a new High Yield Investor savings account at Schwab, where I already have brokerage and checking accounts. That effort got me a small increase in rate up to 0.45%. It’s a fraction of the return offered by the online banks, and not even competitive with USAA, but I’m hoping that they will increase their rates over time as yields keep climbing. Most importantly, these changes didn’t add any overhead to my life. I already have long-standing relationships with ultra-reliable Schwab and USAA. For now, I’m resisting spreading my assets out further to an online bank. In fact, I’m trying to go the opposite direction. A decade from now, in my late 60’s, I’d like to be down to just a handful of accounts at just one or two institutions. But, don’t get me wrong here. As always, I’m not saying what you should do. Many reading this will have different objectives and will make different time/money trade-offs. And I’ve provided plenty of data and resources above if you want to follow another path with your cash. Perhaps you’ve already had positive experiences with online banks. I’m interested in hearing your stories, good and bad, in the comments below. How do you optimize the return on your cash? Great analysis Darrow. I too have been holding tight with my savings which I have in a credit union that gives better than average rates but still not too great. I’ve seen a few recent blog posts about CIT Bank which is an online bank (I have no relation) that’s giving 2.15% APY on balances over $25k. But given your bait and switch experiences with other online banks I’m now wondering if that’s what will happen. I also may consider a CD ladder since I have no need for much of my rainy day fund savings. Even if it rains on me hard I can’t see using more than half. Thanks for the feedback AF! Those are good options to consider too. CIT has a history of bait and switch as well – so while it’s a good rate now – when rates improve, they will just create a new account for the higher rate and you’ll be still in the “old” product. Doctor of Credit has a lot of really good research on this topic. I have about $70k sitting in two medium sized banks that served the area I used to live in – I’m getting 3.01% on $50k and 4.5% on $20k with a little bit of extra debit card transaction work and ACH transfers – I am comfortable with 20 mins of monthly legwork for this rate and my 17 years in the banking industry provided me with the confidence to use these banks after researching their history and cap rates. Could you please share where you’re getting these rates and how? what’s wrong with bait and switch as long as you’re gettinga higher rate with each switch? i cycled through three accounts at CIT, each witha higher rate than previous. First deposit of $15k I got $100 for keeping money in for three month. then when cit announced new type of account at higher rate, moved money into new account. repeat. then recently decided to move all money to other investments and money was transferred out in one day. these accounts at 1.6 and above replaced accounts i had money in previously earning maybe .25. so use CIT bank produced much higher returns. So wait, you sold a large position of your investments after the market started heading toward a correction, thereby securing a loss on those investments? Nope. My sales were on September 25, and October 15. It was fairly routine harvesting for me. I’ve held most of my positions for a decade or longer. It would be really hard for me to take a loss at this point. I opened an ING Savings account many years ago when the interest was around 2.6%. This has fluctuated and is currently just 1.00% and under Capital One. It’s very easy to just leave my savings in this account and hope that the rate increases, but I could be more pro-active. I’m thinking of a Vanguard CD for a small portion of my savings. I already have a vanguard account, so this would be pretty easy to set up, but I have never invested in a CD before. Even better is their money market savings account. Currently paying 1.85% for balances above $10K, which your cash bucket would qualify as. Plus, unlike other banks you mentioned that might have quietly lowered their rates when you aren’t looking, Capital One has consistently raised their money market rate as the market has gone up. Can write checks on. Great ACH transfers in/out. Principal protected at $1 share. (no FDIC insurance on money markets). Thanks jack. I’m happy to be educated, but according to their fund page: “Vanguard Prime Money Market Fund seeks to provide current income and preserve shareholders’ principal investment by maintaining a share price of $1.” So not the same as guaranteeing principal, in my understanding. Darrow: I had the same concerns that you did about the Vanguard Prime Money Market Mutual fund. The $1.00 per share value is not “guaranteed”. I looked at the history of this fund via the annual reports from 2006 to 2011 (i.e. the depths of the financial crisis), and then every year since. The fund did maintain a $1.00 per share throughout this period. At the August 31 2009, the fund had an average weighted maturity of 75 days, and an average credit rating of Aaa. The fund had $106 Billion in assets at August 31 2008 and ended with $114 Billion in assets at August 31 2009. Again, none of these statistics is meant to imply that the fund could not break below $1.00 per share in the event of another major financial market meltdown, or a major recession. I am comfortable with the risk here due to the history, and the overall size and strong history of the Vanguard organization. Just my two cents…. Remember… they changed the law regarding Money Market accounts after the financial crisis. Due to heavy withdrawal rates they now allow that $1 share price to fluctuate below that to deter withdrawals. However, there are now reputable companies offering on-line savings accounts: AMEX, Goldman Sachs and Synchrony. All FDIC insured. Thanks for the insightful article. I’ve been a Ally customer for many years and can whole heatedly recommend them. Although their rates may not be the absolute highest they are always near the top. I’ve rarely have had to deal with their customer service but when I have it has always been very good and they follow up continually to see how they performed. Some of their CD’s offer a one time bump up at your choosing if the rates go up during the CD’s term. This is a very nice feature not widely offered. Thanks Rob, it’s reassuring to hear your first-hand experience. I have also been in Ally for years and have had zero problems. Their online Savings rate keeps going up and is now at 1.9%. FDIC Insured up to $250K. I’ve had the same experience as an Ally customer (high yield savings account, but no CDs yet). Their interest rates are always competitive, user interface is very intuitive and easy to use, and customer service has been excellent. Hearing others have had bad experiences will cause me to keep a closer eye on their business model and how things are changing, but for now I’m very happy with them. It’s been a set it and forget it way to make a couple extra bucks every month, which adds up over time. I echo what Rob has said. I’ve been an Ally customer for several years and have had only good experiences. They’ll pick up out-of-network ATM fees and even provide post-paid envelopes for snail-mail deposits. At present a “plain vanilla” Ally savings account brings in 1.9% and an 11-month, no-penalty CD yields 2.10%. Five years ago I invested $50K in 5-year certificates with PenFed Credit Union. That was a great rate then, but today a new CD would yield 3.3% with a 30% early withdrawal penalty. When those certificates mature next month I’ll probably move the funds to Ally or Vanguard. Thanks for sharing your system Laura. Sounds smart. Happy medium for me is CD ladder. I am reasonably maximizing my return on my cash, and as far as I am concerned it is basically liquid. Multiple maturities means I will have ready access in event I need to draw on some funds above and beyond my liquid cash (hasn’t happened yet, but I sleep better at night). Thanks for the reminder about CD ladders Glenn. For me there are still a lot of moving parts, but I might have to reconsider as interest rates go higher. After liquidating some stocks, for reasons similar to yours, my husband and I just went through all the choices you listed above about what to do with the cash. We decided we already had enough $ in the stock and bonds markets, floating up and down and sideways, so knew we wanted to keep our cash as cash. Since our cash was just sitting in savings for less than .5% interest, we went for the CD ladder idea (leaving in our savings account more than enough emergency cash). Created two different CD ladders (from his savings account and my account) via Ally online bank, going from 1 – 5 year terms. So, once a year, on the same September day, with two clicks I’ll roll two 1-year CDs into 5-year CDs–or if we need the funds then, I will terminate them. The two-year and four-year CDs also have a “raise your rate” option, if there happens to be a worthwhile jump in the interest rates (you can preset an alert). Setting up the ladders (and the direct deposit from my bank) took me less than 2 hours to do. Seems like it was worth the work for the 2.5%+ sure-thing interest on most of our cash–and no worries about market corrections! Thanks for those details on your formula ElKay. Sounds like a very good solution for you. Great article–thanks so much for sharing. I was also in the position of finding an acceptable place for our cash and many of things you outlined in your article resonated with me. I finally parked our cash with Vanguard in their taxable Prime Money Market fund (VMMXX). This fund invests in short-term, high-quality securities and aims to keep the share price at $1. For the last 10 months or so, I periodically check the yield on this fund and it adjusts upward. When I started it was yielding around 1.85% and it currently returns 2.21%. I assume this is because overall interest rates are rising. I have full liquidity with this fund, as long as the $3,000 minimum is maintained. (I do not work for or represent Vanguard but do have a significant portion of my portfolio with them). In your research did you find this fund and reject it for some reason? I’m always interested in discovering whether I’ve missed anything when I do this type of research. Thanks for the update on Vanguard’s Prime MM fund Lance. That’s certainly a viable option for folks shopping in this category, and I probably should have delved into money market funds. For me it’s an apples/oranges comparison because of the lack of FDIC insurance or guarantee on principal. Not that VMMXX isn’t extremely safe. It just isn’t quite the same animal as a savings account. Thanks again for those details. I buy brokered CDs through Vanguard. I currently have a 6 year ladder with about 4 times the cash I expect to need maturing every year. I am biased towards 4Q maturities for getting cash for the following year and my eventual RMDs. I also carry a Vanguard Treasury MM account with my planned annual expenses (decreasing balance during the year) plus a little over half of my annual cash requirement as an emergency fund. It’s highly unlikely I’d be forced to sell a brokered CD during a given year but it is possible. So far this year, my CD ladder has fallen about 2% in nominal value. However, all of the CDs will eventually be redeemed at par so the “losses” are really only lost opportunity costs for reinvesting at slightly higher interest rates. Interesting formula Ken, thanks for sharing those details. Sounds pretty disaster proof to me. I also have my accounts with Schwab and have been using their Money Market Fund (SWSXX) which currently yields 2.05%. I realize it is not FDIC insured and could possibly “break the dollar” in really bad times. I have recently started purchasing some CDs through Schwab to possibly develop a ladder and did not realize how they handle an early withdrawal scenario. Good to know! Thanks David. I’ve always been happy with Schwab, but there are also always trade-offs. HI Darrow, for Cash I use brick a mortar bank account for my daily/weekly, monthly spending- PNC. Then for the cash reserve I use an on-line savings account for the balance. I have used a few over the years but for the last several years I have been with American Express personal savings now paying about 1.9%. I have found them to be consistent and also I have had no issues moving funds in and out of that account. It is linked to my PNC account. The balance of my portfolio is consolidated now at Vanguard. I enjoy your web site and appreciate you sharing insights with us. Thanks Bruce, appreciate hearing about your experience with an online bank. I, too, have been using AMEX Savings online, and I have been very satisfied with their service. The website dashboard is easy to use, the account can be linked to my other accounts, and transferring funds is simple and quick. Yields are very competitive. Since I opened the account, the APY has increased, and they have not tried any bait and switch tactics. I’ve been a satisfied banking customer with both Ally and Schwab for several years. I recently decided to consolidate and chose Schwab because it offers ATM rebates world-wide instead of just the US. At the same time, I moved my “savings” from Ally to a Schwab MMA. I understand there is some risk with MMAs, but was surprised your research didn’t touch on them. Thoughts? Altough I’m still working on an exact figure, my current estimate is to keep about 4 years worth of living expenses in cash to use during the inevitable market downturn. Since we’re already drawing social security benefits, this comes to about $30k per year which is $120k total. I’m not sure why you didn’t mention money market funds in your analysis but that is where I invest my cash, specifically the Vanguard Prime (investor class) which according to my Quicken report has returned an average annual return rate of 1.84% this year on my accounts. It is liquid, easy to access and requires little extra time for me to manage. There a couple of downsides. You’re limited to $10k per year (per person). And If you cash in during the first five years you lose 3 months of interest. But once you set up a ladder of I-bonds you’re protected from inflation and get a decent return with I-bonds that can be sold as necessary as they age. Thanks MB. I’ve always had a substantial position in Vanguard’s Inflation-Protected Securities Fund (VAIPX), but have tended to look at it as a long-term hedge. You’ve given people a good alternative within those investment limits. The rate environment has certainly changed for the better on savings accounts recently. My strategy for cash over the past year or so has been to keep the bulk of it in online savings accounts at American Express (1.90% yield) and Discover (1.90% yield). However since the Fed has been raising rates over the past year, money market account yields have now risen slightly above the rates available at the online banks. The Vanguard Federal Money Market Fund (VMFXX) the default settlement option in my brokerage account now yields 2.10%. For excess funds in my brokerage account I use the Vanguard Treasury Money Market Fund which also yields 2.10% currently. I agree that principal volatility risk is as issue even with short-duration funds as long as the Fed is in a tightening phase. Thanks for all those options and the analysis Mark. Some other readers echo the same choices. Hope all is well in snow country! All good here in snow country. Just had our second snowfall of the season. Hope this is an early sign of a better ski season than last year. Keep up the great work! Darrow, love your blog, but I have to disagree with you regarding online banks. I switched to Ally from my brick and mortar bank when my “cash” savings was paying out at.02%, and Ally was offering .9% Now my Ally rate is up to 1.9% due to the interest rates increasing. Their web site is one of the easiest sites I’ve ever encountered (and I’m a retired computer admin. ), large easy to follow buttons, which us retired folks like. I’ve never had to call their customer service reps, because their online tools are so easy to follow. They have great reviews, and assets of $167B ($100M more then USAA). I have turned several of my friends and family members on to Ally, and all are very pleased with the 3-4X return they are getting. Your subject is about being smart with your excess cash, don”t be techno phobic and leave hundreds of dollars in monthly returns on the table. Your final suggestion was to go with a .55% return when Ally could be offering you 3.5X return with NO risk, other than fear of a foreign customer service rep. I recommend you take another look and give Online banks another chance, maybe with a percentage of your cash to try it out at first. Also, they send you an email every time the rate increases….never get any news from my brink and mortar bank unless they want to sell me something 🙂 Keep up the great research….cheers! I used to have most of our cash in an Ally online savings account because it was yielding around 2%. I then checked the rate on my savings a few months later and it had quietly been reduced to 1.5%. They may send an email when they raise rates but when they go down there is no notice, so some monitoring is required. I know the rate currently is higher (1.9%) but I don’t want to park my cash with an institution that reduces their rate by 25% and doesn’t notify you. I no longer keep my money with them. Best of luck. Have you considered a ladder of short-term treasuries? Current rates: 3-month: 2.25%, 6-month: 2.5%, 1-year: 2.7%, 2-year: 2.9%. This can be done by participating in the regular auctions or by buying on the secondary market. Most brokerages charge zero commissions for either purchase. The interest is exempt from state income taxes. They can also be sold on the secondary market if an emergency arises and you need funds prior to your need ladder maturity. It might take an hour to set up initially, and then 15 minutes every 3 months. Thanks Tim. I have considered ladders in the past and need to keep them in mind. They make a lot of sense for some folks. I suspect they would actually require quite a bit more time than that for me, learning the systems, researching new issues, and reconciling accounts. I do want my cash management to be ultra-simple for me and my wife. It took a full hour and twenty minutes to fill out forms and get a CD at First Republic! I’m a volunteer treasurer of a small non-profit. Our savings account at BofA was earning .007% when I accepted this position. I now have CDs of 2% and 2.5% but filling out all of the paper work to comply with federal regulations was annoying. And there was a lot of hassle going back and forth between my own board to get approvals. I suspect this will be a lot less of a hassle for individuals versus non-profits. Personally, I’m considering selling my Facebook stock to raise my income high enough to qualify for Obamacare so I may need a place for my pile of cash to rest or work. Thanks, for the timely analysis. Thanks Bob. For some people those paperwork hassles seem almost invisible. For others, like me, they’re grueling. I’d rather go hiking! I moved my savings account cash that I use for my annual expenses from my local credit union to Capital One Bank 360 Money Market Account (1.85% apy over $10,000). I already had my Venture Card through them and I linked my local free checking to the 360 MMA and do no fee transfers as needed. I like to have the accounts separate as I find that I scrutinize my purchases, ATM withdrawals, etc more so when I see how much I need to transfer each month to cover my expenses. I like to see the interest earned at the end of the month compared to the credit union. I also purchase everything I can on my Venture Card for the travel rewards and pay it in full each month. Thanks John, sounds like you’ve come up with a smart and efficient way to issue yourself a retirement paycheck each month. I use a combination of High yield money market and CD laddering with Capital One 360. Not the highest rates but I have never had an issue with them and I’ve been an account holder since it was ING. I also use a high yield bank note fund from Fidelity. Duration is short and rates go up with interest rates. This has more risk but I have had good luck with it. Hi Darrow, I too just cashed out some stocks for the same reasons. Our age and investment ideas are similar also. 95% of my portfolio is with Vanguard, which gives me confidence I won’t have any problems. I recently realized I can buy CDs through them; even though they are not Vanguard CDs I still feel more confident than buying directly from an on-line bank. I assume Vanguard has at least checked out the banks offering CDS through them. To boost my returns I invested a portion of my stock sale cash into a six month CD paying 2.4% and another small portion into a six month real estate loan through Peer Street at 7%. I have confidence in real estate and feel comfortable with the short term. If I have an emergency need for cash during those six months I have a HELOC to fall back on. Thanks Mitchb, sounds like you have a diversity of cash sources, always smart in my book. Very informative article Darrow, Thank You! Fidelity has a similar system as Charles Schwab and makes it very easy to buy CDs and sell them at the current market rate if you need the cash. In fact it updates the CD’s relative NAV every day. I currently have laddered a series of 15-20 CD’s from various institutions and Fidelity tracks and lists them on a continual basis. I moved my money to online only banks when I seemed to always have more than $50k in cash (usually fluctuates between $50k and $150k). Purepoint Financial, Marcus by Goldman Sachs and Ally are decent choices IMO. Work to get an online account set-up and ACH trasactions between my 2 brokerage account and credit union (where I have checking and direct deposit set up) took 2 hours total (probably less). The interest difference is over 1% so this is roughly $1k/yr. interest difference so was worth my while. I also bought some Vanguard municiple bond funds a couple of years ago to “park” some cash instead of putting it in an online saving account. It was doing a little better than online savings with tax free interest to boot. But lately, bonds have been dropping so as of now, my return is lower than online savings but still slighly positive. I don’t like CDs. For me, it’s either liquid cash or in the market. I keep much less cash on hand (usually for about only about 4-6 months), so rarely meet the thresholds required to earn greater interest rates in tiered schemes. I have used Ally for quite a few years, with no issues, and their rates (currently near 2%) have remained intact, or increased, since I opened my account – even with balances that are occasionally virtually zero! By contrast, my checking account rates (one local bank, and USAA) are so low that I find more money on the ground than in my interest payments! I did have some “extra” cash on hand this summer, and put it into an Ally CD, but, as interest rates were rising, the rate on my online savings account ended up at or exceeding the CD rate, so it was hardly worth it to get a tiny bit extra income while tying up my cash for 6 months; I doubt I’ll get another CD, unless I get an unexpected windfall. I’ve used online banking for about 20 years (or at least as far back as I can remember). I’ve always been with ING Direct, which a couple of years ago was bought out by Capital One. Works great. Only downside is that it takes a couple fo days to transfer money into my checking account, but it’s never been an issue. It seems like their rate is a litle bit lower than Ally, but up to now it hasn’t been worth the hassle to change. I may reconsider that as rates continue to climb. Marcus (Goldman Sachs) is paying 2.05% currently for FDIC insured accounts. I’ve been with them for 8 years or more (fka GE Capital). No complaints and never any interest rate stepdowns in my experience. Thx for the blog! Thanks for that experience report Eric. Marcus (GS) savings rate start the day of transaction, which is 1-2 days before receiving. Excellent phone assistance. I first looked into Ally Bank after reading about it here 1-2 years ago. The problem I ran in to was that they did NOT provide the ability for me to sign up only because I do not live inside the USA. (Working for the DoD abroad for 20+ has attuned me to a variety of non-global aspects of US companies.) Even after calling them from the states, they could not find a way for me to sign up for services because my address is DoD abroad, and APO. I have used HSBC online banking in the past though currently, and for many years, am using FNBO online banking, noticing the rate increases over the past 2 years, now at 2%. I am easily able to transfer money to/from my USAA account through FNBO. No problems so far and seems convenient enough for me. Thanks for the info and data points julie. I’ve cashed out a lot of my holdings and I am sitting at 90% in cash. I made the right decision as of most of my stock and bond funds would have been down several points. My solution was to keep a relatively small amount (For monthly expenses) in Chase. I keep a good amount (But under FDIC coverage limits) at Barclays (Now paying a 1.9% savings rate). I’ve had this account at Barclays for a couple of years, and have no issues with deposits or withdrawals. I’ve had money transferred in to my Chase account (when needed) within two business days. I’ve never had a reason to contact their customer service, as I’ve had no issues. Last but not least, I keep the bulk of cash on layered CDs which I purchase and manage through TDAmeritrade. I still hold a couple of equities that I have held for over 20 years and pay good dividends. Obviously, my main objective is principal safety and I am fine with moderate 1.9 – 3 % income, so it works for me. Prior to divesting (I totally believe we are due a 10-20% adjustment and will happen sooner than later), I held REITs , dividend income EFTS and and occasional ‘Speculative’ investment (Such as Netflix and Amazon a couple of years back). Thanks for those details Jim, and the experience report on Barclays. I’m a conservative investor but currently only about 10% in cash. I’ll do an update on my portfolio after the first of the year. Consequently, I’ve been rotating out of stocks for the last year, but have been avoiding bonds. I’m currently 70% cash, 27% equities and 3% bonds. The bulk of the cash is in laddered CDs (6mo – 3 yr), the small amount of bonds are through a legacy 401k target date fund, and the rest of equities are in an S&P 500 index fund. Fidelity makes it pretty easy to setup the CD ladders. I have had good luck and great customer service with Alliant Credit Union. They offer very competitive rates for savings and checking accounts. For bonds Vanguard has a their Short term bond index which is 65% government bonds, maybe a bit less conservative than the short term treasury index but it yields over 3% or for slightly more risk Vanguard has short term investment grade fund that offers ~3.37%. We have invested in personal loans to help students we know pay off their school debt, relieving them of 7-10% rates for 3%. Haven’t been burned yet but every loan to a friend is money you shouldn’t mind losing. Also used fidelity for a 2.7 % rate, need to go check to see if they’ve dropped it without telling me. Great info. I agree with your “my time” analysis – used to drive myself crazy chasing a few dollars when we could be outside hiking in the Jemez. I note no one mentioned annuities. Other than free steak dinners, what is your take? Thanks Joe, nice way to diversify. And I agree with you on loans to friends — that’s been my experience too. I’ve written quite a bit about annuities: see the top of our Subject Index. But I’m due for an update. In brief, I’d only consider an immediate annuity, no variable annuities and no steak dinners! To obtain higher returns on my cash, I previously built a five CD ladder. And I chose the highest yielding CDs at the time; 1, 2, 3, 4, and 5 yr term. And once a year as each matures, I close it and open the highest yielding 5 yr CD. But a couple years ago I learned about MYGAs (Multi Year Guaranteed Annuities) and now I’m converting my CD ladder to a MYGA ladder (provided they have higher yields). They’re very much like CDs except they tend to have higher yields, currently around 4% vs the low 3% for the nation’s highest paying 5 yr CD. They have other advantages over CDs too including taxes on interest are deferred until taken out. And many MYGAs also let you withdrawal paid interest without penalty. StanTheAnnuityMan is my source for all things annuities. I also keep ready cash in a Free Kasasa Cash Checking account at First Financial Bank. It’s a rewards checking account that currently offers 4.07% APY* on balances up to $15,000. My vote for simplicity is Vanguard Prime Money Market. If you opt for more work, buy 4 week treasury bills and rollover. You will likely get slightly better yield with the added advantage of state income tax savings. Hooray for simplicity. Thanks Steve. Timely post Darrow; especially considering how many threads there are now discussing how to get the most yield on cash. I really like the ‘value of my time’ concept, and absolutely concur on the “simplicity” approach. Too many folks are out there “chasing pennies” IMHO. Like many folks above, we too have a CD ladder (ours is bookended by FZDXX on the short end and FTABX on the long end). [Note: Our FZDXX, which now yields >2.0%, is linked to our checking/savings account so it auto-deposits to pay bills while still earning >2.0% on essentially every dollar; could not be simpler]. Our total cash-ish position runs 4+/- yrs, which is a bit longer than most folks but, fits our philosophy. Also, we’re now @ two financial institutions (Fidelity & PFCU); Fido is our primary investment location but, we’ll keep a PFCU account for the foreseeable future. After having most of our CD ladder @ PFCU, we’ve been moving the rungs to Fido for simplicity & because the rates are pretty close, and now have just one rung @ PFCU. I have had decent luck with an on-line money market account from Capital One 360. Interest rate is currently 1.85% with at least $10,000 in the account. I use this account to park money for the higher interest rates and then move a certain amount each month to a local brick and mortar bank which allows for multiple (greater than 6) transactions per month for bill paying and living expenses. The Capital One interest rates have gone up over time but they seem to play catch up with other on-line banks that tend to raise rates faster. My other issue with Capital One was trying to set up beneficiaries so the money passes without probate to our kids. Capital One went for about 10 months after we set up the account without a method to designate beneficiaries, It can now be done by a notarized paper form to be mailed in. I didn’t realize I needed to check out whether designating beneficiaries was allowed, it seemed like all banks should have something like that. Anyway, something else to check on for on-line banks. Good point MR. That “transfer on death” type of designation for beneficiaries is very important to me too. Something to check indeed. Thanks! This does not have to be an “all or nothing” decision. I currently use my Local Bank Evantage checking at 2.07% up to 30,000 and then use the VMFXX federal money market fund(sweep fund) at 2.10% for another year’s worth of cash. 10 debits on the Evantage checking and then I go to my cash back paypal credit card for all other expenses for the month. Look around your area for a rewards checking account as they are simple to hit all of the qualifications. Then use the Vanguard money market(either Federal or corporate) for additional funds. I am very conservative(like you) and I have no problem sleeping at night with this arrangement. Darrow, don’t know if you are familiar with these blogs that are updated twice a month. Great place for finding the best CD and savings account rates and much more about the banks. Like some of the others, I just use the money market sweep account for my brokerage account (VMFXX) for liquid short-term savings. I already have it as an adjunct to the brokerage account, so it doesn’t require opening any new accounts. Darrow- Your point about simplicity and the hassle of moving funds around for a few dollars more in interest is well taken. Money wires aren’t cheap and the logistics of chasing yield can be a nightmare. Giving up some yield never hurt anyone and as you said your time is valuable. Early retirement is about freedom. And I think you just proved that point. Darrow, I too am in my 60s and lean toward simplification. I use a combination of local credit union & Fidelity for my financial partners(I can ACAT money between the two as necessary). I don’t use the local credit union very often, but it does provide me with a safety deposit box, notary services, loans if needed, etc. However, Fidelity is my main one-stop go to for brokerage services, cash mgt, credit card services(pays 2% on purchases), check writing, ATM fees reimbursed, etc (https://www.fidelity.com/cash-management/overview). For cash mgt, have the following setup: Fidelity Cash account (Fidelity Money market – SPRXX paying 2% 7 day yield): a) monthly bills that I can’t charge to the cc are auto drafted, b) charge everything else to Fidelity cc(2% cash back) and monthly credit card is automatically paid from Fidelity cash account. For CDs, can purchase a CD ladder and setup auto-roll feature – http://www.fidelity.com/misc/buffers/autoroll.shtml – which is what I do with my cash needs for the next 24 months. All of fidelity’s income products with rates are published for simplicity – https://fixedincome.fidelity.com/ftgw/fi/FILanding. You can just as easily buy treasuries in lieu of CDs and possibly save on state income taxes if it’s in a taxable account. Thanks for those details Ray. Sounds like Fidelity’s offerings fit together well for you, and are competitive with online products. Darrow, last but not least, i’ve found their customer service to be excellent. Both at the branch or on the phone. Man I can’t wait for the day where I value my time at $300 per hour but of course you might probably trade that to be 34 again so I guess it evens out. I did pretty much the same research you did but came to a somewhat different conclusion. I’ve found it worth the minimal amount of time required to park not just our cash but our entire bond position (55-55% of assets) in 6-12 month Treasury notes, while for a money market I use VUSXX (Vanguard Treasury Admiral) which is paying 1.62% at the moment. I subscribe to the bonds are for safety, take your risk on the equity side philosophy, and as folks like Todd Tresidder and Larry Swedroe have been warning in recent years the risk of catastrophic spikes in interest rates given their suppression by the fed as well as more modest but all-but-guaranteed losses in intermediate-duration bond funds makes going short and high quality very appealing. I’ve slept easier the past couple of years seeing positive returns in the 2%+ range on my cash and bonds while watching even the most conservative Vanguard Lifestrategy and Target Date funds getting dragged down by their huge allocations to IT bond funds. Longer-term as interest rates stabilize I’ll go back to Vanguard IT Treasury fund for most of our allocation but still keep at least a couple of years of cash in their Treasury MM fund. In a flight to safety Treasuries are truly the place to be and between the gutting of financial controls and massive increase in the national debt (not to mention trade wars and other fun stuff) I think the chances of a turbocharged repeat of the -08 crisis are quite high. Hi Kevin, good to hear from you! Thanks for the details and analysis. You make a strong case. I was 39% in bonds last time I checked, but will update that after the first of the year. I’m always leery about phasing out an entire asset class based on what someone thinks will happen in the future. Call me a stubborn diversifier! Since you’re at Schwab already, simply place a mutual fund trade through their trading platform and purchase SWVXX. This is their high yield money market, currently yielding 2.06%. Good point, I’ll keep it mind, thanks. But with no FDIC insurance, no guarantee on principal, plus having to wait for trades to clear, it’s not exactly an apples-to-apples comparison versus my savings account. I have a good deal of cash in Fidelity prime money market now yielding 2.12…. I was told that the money there is insured up to 500k not by FDIC but by SIPC for 500k in cash in each account there. If there is any issue they have a backup insurance with Loylds of London for 1.9 million on all accounts. Am I missing something here, as this sounds awfully safe??? I’m not an expert, but there is a difference between being indemnified against errors/fraud, versus having your principal guaranteed. Also insurance (even FDIC) would likely take months if not years to repay. Hence my concerns about customer service and avoiding bank errors in the first place. At Fidelity you should be in good shape in that department. Depending on your state income tax rate, short-term treasuries (4-week, 13-week, on up to 2-year) are better than CDs. It is easy to buy them thru Fidelity, Schwab, at no cost. Have been using American Express Savings for several years now. No problems and there rate has been ticking up lately. Muy bueno! I’m glad to see several people mention treasuries, as I’m about to buy them for the first time. Just sold my home, and want to keep that money safe for a year or two until I’m ready to purchase a new home. I just retired to Mexico, so some options aren’t available to me due to U.S. financial institutions’ restrictions on expats. But I can buy treasuries, and will probably buy six-month or one-year treasuries in my Schwab account this week. Another great article with substance as usual. I have my idle cash in Vanguard Federal Money Market Fund (VMFXX). Very happy with results for now. Also will look into American Express high yield savings account. Also plan on selling index funds and replace with dividend earning funds. It’s all about preserving principal! You might want to look into Pure Point Financial’s online savings account. They pay 2.15% on balances over $10,000 and they move their rates up quickly when the Fed increases rates. I’ve had them for over a year with no issues. Another vote for Ally Online bank. My wife and I just moved into a house that is better for aging in place. A couple of years ago we began accumulating what we would need to compliment the proceeds from the sale of our house of 28 years to allow us to acquire the new place without a mortgage. We purchased Ally no penalty CDs and swapped them out a couple of times without losing any interest as rates rose. When the time came to close on our new house we simply liquidated the CDS and transferred them to an ALLY savings account. Then we had them wire the money to the title company handling our close. Everything was done online with a few keystrokes. As a CPA, I give them bonus points for their controls. Within an hour of submitting the request for the wire transfer I received a call from ALLY and they had me verify everything that I entered online before processing the wire transfer. I plan to keep using them going forward for checking, savings and CDs. They do not always pay the highest rates but they are always competitive and I have received consistent excellent support from them in the few cases where I have needed it. Great experience report, thanks for sharing that Chuck! I have been using online bank Purepoint Financial for over a year now. They are terrific to work with. They are now paying 2.15% on their money market deposit account (FDIC Insured). They have increased the rate they pay on my account about 4 times, pretty much following the Fed increases. Often times the share price will decline, and they will look by all appearances to be losing money. But, this excludes the dividend which is paid monthly. I would be interested in learning if other people have had good experiences with these as well. Thanks Bob, I’ve been curious about ultra-short securities but don’t have any personal experience. Appreciate the details. Thanks for another well written and informative post. This post (and others, one of which you linked to here) correctly emphasize “simplicity” in matters of finance. You wrote a guest post for Mike Piper at The Oblivious Investor awhile ago about the simplicity of balanced funds — and that you are a fan of and an investor in Vanguard Wellesley Income. My wife’s IRA is 100% Wellesley; I’m in Wellington. Of late, I’ve looked at both Vanguard Global Wellington and Vanguard Global Wellesley Income. Not sure I’m convince yet to switch to gain more international exposure and was wondering what you think? Thanks Dave. I get some international exposure via Vanguard LifeStrategy Moderate Growth (VSMGX) and Vanguard Total International Stock Index (VTIAX). It’s seemed important to me to have that diversification, but I wouldn’t argue that it’s essential for everybody. I have pension(s) and SS sent to an online Savings bank paying 1.9%. I found that most of my bill payments were due mid month or later. 2X a month money is transferred to a Credit Union checking account earning 0.65% so it acts like a bi monthly paycheck. My taxable investment distributions are sent to my brokerage cash management account that is currently earning 2.14%. All accounts have the ability for me to write a check. Money movement between the bank, the credit union or the brokerage account requires a few clicks and a couple of days so it is easy to move cash to a higher yielding option. Sounds complicated but was easy to set up and by having pension and SS sent to Savings if I want to change my checking account I don’t have to contact 2 former employers and SS to redirect their payments. Great article and timely subject for me. The article and comments offered several options that I’m looking into for my situation. I have a question for you, however. You mentioned in your postscript that you moved a substantial portion into SWVXX at 2.07% which is not covered by FDIC. What changed your mind regarding your FDIC ‘requirement’? It sounds like you traded the safety of FDIC for the higher rate and the simplicity of keeping your money in one place, i.e., the Schwab account. One of the options was an AMEX or Marcus online account w/ 1.9% or 2.05% that are covered by FDIC. Hi Cheryl, thanks. I still have a chunk of money in FDIC-insured accounts. I just decided I was being overly cautious to require FDIC insurance for all my liquid reserves. Though a money market account might drop below $1/share in an extreme financial meltdown, the possibility of major losses seems far fetched to me. I want to avoid opening an account at a new financial institution. Three such relationships in our life is quite enough already for me and my wife to handle. Others will have different requirements. I’m in the camp of using cd’s for the “bond side” of my portfolio. With a 5 year cd ladder, I find that cd’s pay slightly better than highly rated corporate bonds.